Does Sharing Financial Data Improve Performance? I'm working with a family-owned engineering firm that has tentatively decided to take a bold step: to start sharing financial information with all their employees. I must confess that it's been hard for me to understand their reluctance to do so. Most A/E and environmental firms that I've worked with over my career have practiced some degree of what's known as open-book management (OBM). But I've been surprised to learn that my client is in a substantial majority. According to one survey of 1,300 chief financial officers with private companies, only 7% shared financial data with all employees. Another 17% shared this information with only select employees, while 76% provided no such data to their staff. OBM is more common in the A/E industry, with 21% of firms sharing financial information with all firm members according to Zweig. Yet 36% of "fast-growing firms" practice OBM compared to only 8% of "no growth firms" and 13% of declining firms. Is there a trend here? Zweig reports that 81% of firms that were Best Firms to Work For Award winners shared revenue data with all employees, whereas 65% shared profit data. Meanwhile, 85% of companies in Inc. Magazine's 2010 Top Small Company Workplaces practice OBM, as do 40% of Inc.'s Top 500 fastest growing companies. There seems to be a significant correlation between doing OBM and being successful. And it makes perfect sense. Sharing financial information with employees promotes trust and collaboration. It gives employees a better sense of connectedness to the company's success. It enables them to make more informed decisions about how help improve performance and profitability. It improves employee engagement, retention, motivation, innovation, and corporate sustainability, according to a white paper published by the UNC Kenan-Flagler Business School. Research directly linking OBM to improved financial performance appears to be lacking, but the anecdotal evidence is abundant. Spend some time reading on the topic and you'll learn of many companies who attribute their success at least in part to becoming more transparent in sharing information with workers. It's easy to see how OBM would help increase employee engagement, and the financial advantages of having a more engaged workforce are well demonstrated. Clearly, the decision about whether to use OBM or not is a reflection of the firm's culture. One author suggested the change from keeping financial data private to sharing it with employees denotes a shift from a patriarchal culture to a participatory one. I think that's an apt description. The former is akin to playing in a game where only the coach knows the score. It's harder to build a high performing team when such information is withheld. Determine what information to share and how often. Despite the name, OBM isn't an invitation to open your books completely. Certain data, such as individual salaries, should be kept private. The fact is that you can achieve many of the benefits of OBM while sharing only limited information. The most important data is that which employees can act on—helping meet sales targets, reduce expenses, increase efficiency, for example. Sharing financial data quarterly keeps staff informed, but monthly updates probably have a greater influence on performance. Educate employees about what the numbers mean. Most are probably not adept at reading balance sheets and interpreting financial trends. OBM advocates advise executives to focus on increasing overall business literacy among their staff, explaining what makes the firm successful and giving the numbers meaning. That's more reason for being selective in what is shared, to avoid overwhelming with too much data that people don't really understand. Sell the importance of profitability. We live in an age when profit is under assault, characterized as a benefit enjoyed only by the affluent. Fortunately, 9 in 10 A/E firms have some kind of bonus or incentive compensation program in which profits are shared with employees. So that makes it easier to sell them on the importance of making a profit. But there are other purposes that profit fulfills relative to keeping the firm healthy and employees happy. Make sure that message is communicated along with the numbers. Provide context. Explain marketplace trends, industry benchmarks, and what the firm's numbers over time indicate. Show employees how their work contributes to the bottom line. One of the greatest advantages of OBM is giving staff members as sense of ownership and control over how the company fares. Don't withhold bad news, but maintain optimism. There is often concern that sharing the truth about poor performance with employees will be harmful. Won't they get discouraged and maybe even consider jumping ship? That's possible, but aren't they also a critical part of the solution? The best approach in most cases is to share the bad news but couple it with encouragement that the firm is facing the issue head-on. Describe what corrective actions are being taken, or even better if appropriate, solicit staff input into what should be done. Of course, if laying people off or closing business units is potentially part of the solution, you'll have think hard about how much information to share in advance. Promote a culture that handles transparency responsibly. Many firms don't share financial information because they fear it may cause conflict or rivalry between offices, departments, and managers. If that's true, you're better off focusing on negative cultural and structural influences than withholding valuable information. OBM works better in firms committed to community and collaboration. Chances are your decision to share financial information indicates a desire to strengthen those cultural attributes. Don't let a little bad behavior discourage you from pursuing that goal. Instead, fix the root of the problem. Forecasts of up to 10% growth in 2015 construction starts harkens back to the prerecession salad days. But many A/E firm leaders and business developers still aren't feeling it. They continue to struggle despite the reported market growth, finding that the competitive dynamics have shifted against their favor. They need a jump start, or even a makeover in how they approach winning new business. Maybe your firm needs the same. 1. Stop selling and serve buyers instead. There's a reason most technical professionals are uncomfortable with selling: They've been on the other side of the transaction! If you don't like being sold, what about prospective clients? The best way to sell is not to sell. Serve the buyer instead. Focus on meeting needs. Become a trusted advisor, a valued resource. Never waste the client's time, but always bring something of value to every sales call. 2. Make relationship building a priority. Despite claims to the contrary, building relationships in the process of selling is still a vital objective. While you're likely to agree with that statement, your sales approach is probably more transactional than relational. That's the norm in our business. We focus on identifying leads, tracking RFPs, and writing proposals. The best firms, however, have a deliberate process for seeking and building relationships with buyers (and clients). They recognize that the secret to sustainable success is building more long-term relationships that produce a continuing stream of revenue. 3. Stop self-promotion and provide valuable content instead. The usual marketing activities suffer the same fundamental flaw as the traditional sales approach—they're self-centered. Brochures, newsletters, email campaigns, websites, advertisements, trade show exhibits, all with the same central theme: Look at us! A better approach is to divert most of that investment (say 70-80%) to creating content that informs, advises, and equips clients to succeed in their business. This approach obviously complements the service-driven sales philosophy described above. 4. Build your brand around distinctive customer experiences. Brand is all about perceptions, and perceptions are shaped by the direct and indirect encounters one has with a company, product, or service. You can't create brand in the marketing department. It's rooted in substance, not image. That's why most branding initiatives in our industry have negligible impact. If you're serious about your firm's brand (and you should be! ), start by assessing the experiences clients have with your firm and devise ways to improve upon them. Then embody your brand in the way you market and sell—by serving the buyer. 5. Go beyond just meeting technical needs. Our tendency to focus predominantly on technical issues has had a profound effect on our industry. I think it's a key reason why A/E firms cannot command as high a labor multiplier (or profit) as most professional service firms do. If you want to distinguish your firm and increase the value of your services, learn how to address needs beyond the technical issues your firm specializes in. This will include meeting strategic needs—financial, competitive, political, and operational factors that impact the client's overall success. And don't neglect the personal needs of the client, including the buyer's desire for responsive service and a positive experience with your firm. 6. Encourage employees to nurture their network. Ultimately the things of enduring value that most of us take from our careers are the relationships we develop and the people we help along the way. That puts a different spin on networking. No longer should it be viewed as merely a business development activity designed to generate contacts and leads. Rather it is a commitment to build and maintain relationships (see above)—and that should be a goal for every member of your firm. Encourage them to establish the discipline of nurturing their network weekly. Relationships are the wellspring of both business and personal success. Multiply these benefits by fostering firm-wide involvement in networking, and watch your rainmaking take off as well. 7. Manage business development like project work. 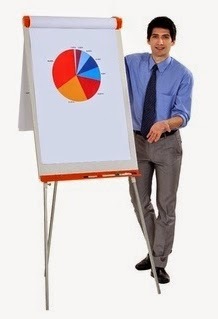 In most firms, marketing and sales by technical staff is done with leftover time. You would never handle project work that way. So why relegate so critical a function as bringing in new work to secondary status in your resource allocation? Business development tasks should be assigned and managed just like project tasks, with individuals' time specifically budgeted for that purpose. Since deadlines largely drive project commitments, you should also establish deadlines for business development tasks. These tasks and deadlines deserve equal priority with project activities. 8. Involve staff at all levels of the firm. You can increase your business development effort without increasing your costs by redirecting more existing nonbillable hours to it. This is more easily accomplished when you recognize how the varied skills across your organization could be applied to winning new work. For example, administrative staff could conduct client and market research on the internet. Junior technical staff could create tools and resources for clients (as part of your service-centered approach to marketing). Spreading the effort no only enables you to get more done, but it promotes a "rainmaking culture" in which everyone is encouraged to contribute to meeting one of the firm's greatest needs. 9. Increase your win rate by doing fewer proposals. Most firms submit too many proposals, pursuing opportunities they really have no chance of winning. This often results in spreading their proposal preparation staff so thin that they can't put together a strong proposal even for their best opportunities. With limited resources, you need to keep in mind that every hour spent on a losing proposal is time diverted from more productive tasks. The key principle here is this: Do fewer better. In my last job as corporate proposal manager, we compiled a 75% win rate by limiting our best proposal resources to only our best pursuits. Fewer proposals also allow your seller-doers to spend more time selling and less time working on losing proposal efforts. 10. Make your proposals client-centered and user-friendly. If you want to distinguish your proposals from everyone else's, this is a good place to start. The vast majority of proposals focus on the submitting firm rather than the client (yes, I understand that RFPs encourage this) and almost none of them are skimmable. The prevailing theme of your proposals should be how you will address the client's needs, concerns, aspirations, and priorities. Don't let RFPs fool you; clients care more about their interests than your firm. So keep the focus of your proposals on what matters most to them. Making your proposals skimmable not only makes them easier for clients to review; it facilitates good communication. Few clients read your proposals front to back, word for word. Yet most firms write them as if they think clients read them that way. If you make your proposals concise, skim-friendly, and easy to navigate, clients will notice. It's the competitive advantage that no one is talking about. 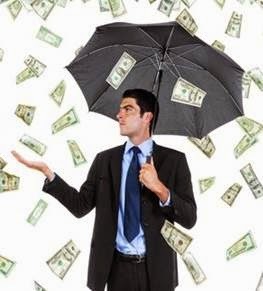 So there you go: 10 steps that can dramatically improve your rainmaking success. Radical ideas? No, mostly common sense that is strangely uncommon in the A/E industry. Your firm can take advantage of this shortcoming and stand out from your competitors. That is the objective, right?